Southern LandCare is a one source solution for your Tree Care and Land Management needs. We offer a wide variety of Land Improvement services range from simple tree pruning to complete land clearing and everything in between. Our extensive experience in forestry, agriculture, and arboriculture ensures that your project is handled quickly and effectively. Aside from our expert professional arborists on staff, we also have relationships with consulting foresters, environmentalists, and land development experts. Our cutting edge equipment, knowledgable and experienced staff, and commitment to sustainable land management solutions makes Southern LandCare the best choice for your next Tree Care, Forestry Mulching, or Land Clearing project. Serving Fredericksburg, Stafford, Warrenton, Richmond, and surrounding areas up to 50 miles from our Ladysmith, VA location. Have a beautiful house, but no one can see it through the thick brush? Have us clear the brush and leave behind an aesthetically pleasing mulch, leaving only the desirable and mature trees that will continue to provide beauty and habitat for generations to come. Creating trails for horse and atv riding is the perfect task for our smallest mulcher. With its low ground pressure and compact size, we can create meandering trails through your property without detracting from the beauty of the land. The mulch left behind by our forestry mulcher also slows erosion. Clearing Land for new construction or agricultural use. Southern LandCare has a variety of Land Clearing options to fit every budget and use. 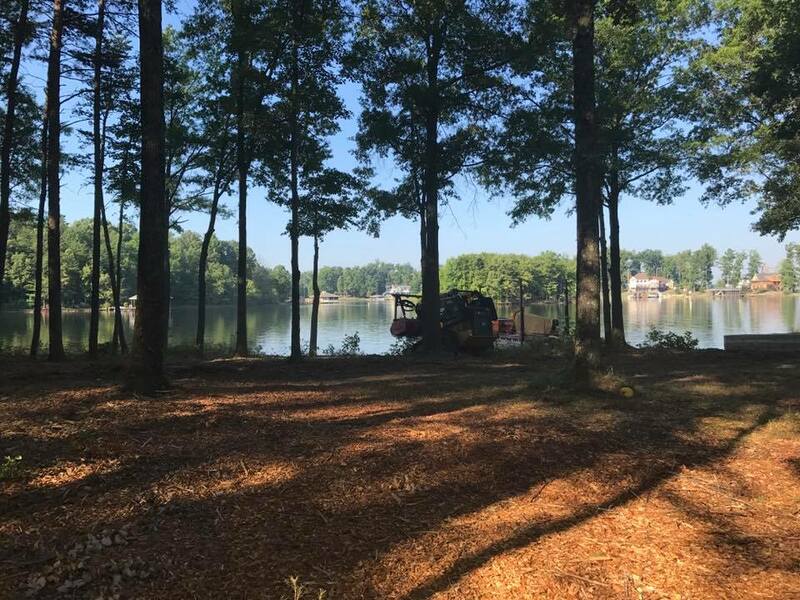 Simple Brush Clearing, Stump Removal, Forestry Tilling/Subsoiling… There are many ways to Clear Land and we are specialists at implementing them in the most effective way for your project. Complex and Dangerous Tree Removals are handled promptly and professionally by our professional arborists. We also offer pruning and crown reductions as an alternative to removal when practical. Saving older trees is our highest priority and we only remove them when the risk to the property cannot be mitigated any other way. Foresty Mulching is the most cost effective way to clear overgrown Right of Way and property lines. A clear property line allows for easy detection of trespassers, easy and more frequent surveying, and can provide access to areas of the property that are otherwise unreachable. We offer other services as well, including snow removal, small scale tree harvesting, pond installation and maintainance, and large area mowing. Use the form below to contact us regarding your Forestry Mulching needs. Please be as detailed as possible. Include your zip code and a description of the work you need done.